A set of stylish guarantee boxes in five colors with an old paper background and jagged edged paper. Use the prewritten text or change it to suit your personality and product. You get the layered PSD source files and the web-ready transparent PNG files. 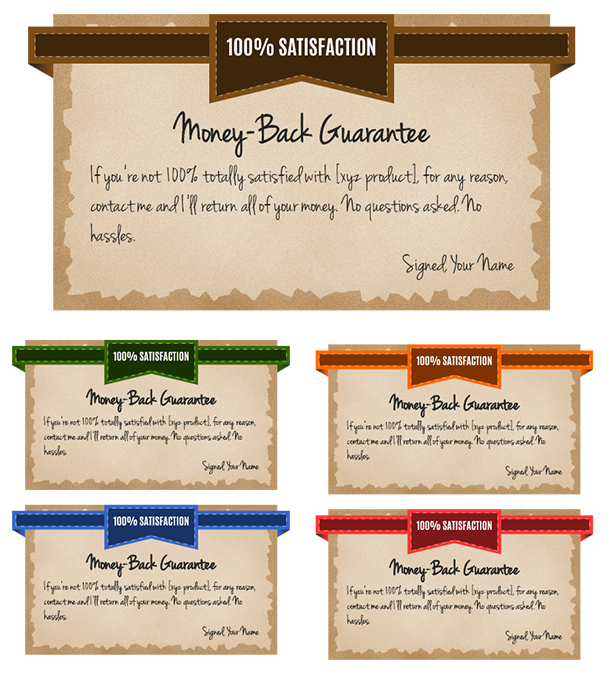 Easy to edit with your own guarantee statement using Sumopaint or any other graphics program. (5) PSD source file for 5 badges.